Services, retail and apparel markets and financial considerations are all accounted for in this free, printable business plan for bridal shops that sell, rent and tailor wedding clothes. COMPANY NAME in [CITY], IL is a start-up bridal and formal wear shop that plans to have no equal in the market it serves. The Company will separate itself by offering the highest quality and widest variety of bridal and formal wear. It is the goal of the Company to be ultimate shop within its 100-mile target market and build a solid reputation in the [CITY], MO metropolitan area. The owner INSERT NAME has been in the formal ware business for 30 years. Her family has also owned and operated a formal ware shop in Illinois for 60 years. Her experience in this industry is unmatched when compared to the average shop owner. The Company was formed in November of 2010, as a result of the owner's dreams of owning her own shop. COMPANY NAME is located in [CITY], [STATE], 50 miles east of [CITY], [STATE]. 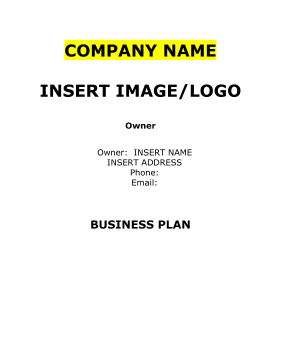 COMPANY NAME is a start-up sole proprietorship, owned and operated by INSERT NAME. The owner is seeking to turn this venture into a full-time wedding and formal ware establishment. The Company is still in liaison with her family's company, INSERT NAME, which has 60 years of formal ware experience. COMPANY NAME will offer bridal and formal wear dresses, tuxedo rental, dry cleaning and alterations as well as wedding accessories, to its clients. COMPANY NAME is located 50 miles from a major mid-west metropolitan city, [CITY]. [STATE]. This gives it a unique opportunity to expand its market tenfold, and still be within its 100-mile target range. Although the population of the Company's entire County is around 15,000, its proximity to [CITY] increases its target market potential exponentially. The current financial plan for COMPANY NAME is to obtain funding in the amount of $250,000. The funding will be used to increase its inventory, hire full-time employees and eventually move into its own shop (for a more detailed list see the milestones section 5.5). The mission of COMPANY NAME is to provide excellent customer service and satisfaction in a warm friendly environment. The Company will aim to provide a work place that allows its employees the independence and self-sufficiency that comes with working in a business that promotes a hometown atmosphere. The owner has started COMPANY NAME to realize her entrepreneurial spirit, and desires to encourage her employees to become part of her dream, with a team orientated spirit.